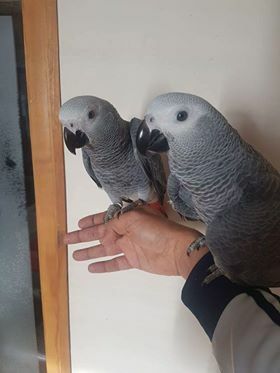 African grey parrots for sale,Very tame, they say many words, (hello when you come close to them, bye once they see you leaving or wearing a jacket, says what you doing, good girl, good boy, laughs, coughs, burps when they see you finished your dinner, sings, and so many more)They love to dance and play, usually they like to have their dinner at the same time as ours. Very clever birds, once they get to know you they don't leave you alone, reason for me selling them is that i have been tranfered to my a new area and they are highly restricted, and i am unable to care for them like they should be because i dont have enough time.They love to walk from their cage to their stand outside the window in the garden, They knock on windows if closed.Price is for the bird, cage, stand and all toys.They have been spoon fed from 3 weeks old and comes closed rung, Hatch Certificate, Full information pack covering diet/care and much more. 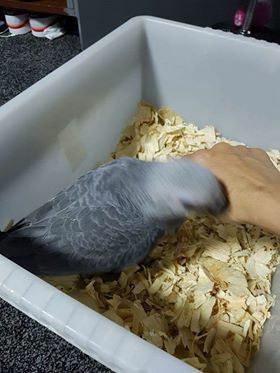 They have been harness trained and have started toilet training.Raised in a family home and have been very well socialised, really cuddly tamed. 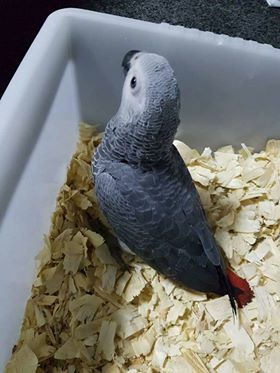 Full aftercare help and support for as long as it is needed.Now fully weaned and ready to go to forever home.